So what’s Pinterest and how can it help my business? One of the fastest growing social media sites is Pinterest. Think of a digital corkboard or pinboard, where you pin up images you upload or find around the internet that are of interest to you. You may think you don't need yet another social media distraction, but Pinterest could really work for your company to boost your Search Engine rankings. I've been reading a blog post by Jeff Bullas which delves into how this could work for you. Remember right now that external links and keywords are your best friends for SEO ranking. And that Pinterest is the perfect tool to use both very simply. 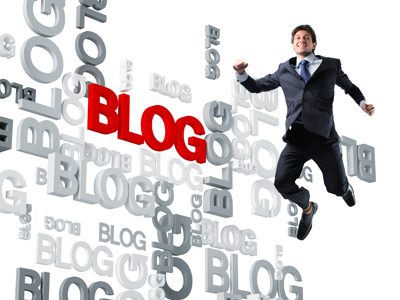 Jeff's article looks at ways to use links, including guest blogging and guest posting. Now if you're a solo flyer who works with others on different projects this is a fantastic opportunity to cross-post and help each other. Commenting on others' 'pins' with a link back to your own site is an obvious way of drawing traffic. Jeff likes the idea of giving away a product or two (if your business is product-related) as interest in your giveaway will expose you to a wide new crowd of potential buyers. And finally by using the source feature of Pinterest you can cross-check on what your competitors are up to on Pinterest. What sort of business would really flourish with a Pinterest account? I'm thinking designers and photographers in particular - website, fashion, graphic, industrial, furniture and so on - could really get their businesses soaring. Designers, photographers and stylists use visuals in everything they do; visuals are the backbone of their businesses. So what better place than Pinterest to go to town? Wedding planners, event managers, travel companies and agents: Pinterest is definitely for you, too. Anyone in the beauty industry should be on Pinterest too. And that's just after thinking about who Pinterest could help for oh, say, two minutes. Give me an hour and I'll give you a blog post as big as War and Peace. And if you make products that are available for sale on your website, you have no excuse. Get on Pinterest now and plug your goodies. Sell the dream. Don't just post pics of your products, find pics that help people imagine more about the products and where they could use them. For example, if you make skin creams, pin images of foreign places, of tropical islands where your skin cream will soothe, of Paris in the snow where your skin cream will nourish skin affected by the cold. Getting it yet? Social media doesn't have to take over your business day, but it does need regular feeding and attention. If you think Pinterest is going to be utterly addictive, set yourself a time limit on a daily basis. Ten minutes a day to do a quick search of what you can pin and pins by others you can comment on. Get into a routine, perhaps set a different item each day to research. At the very least you'll make interesting new contact who could help your business grow. Find out more about Pinterest for businesses right here. Now, go and sign up, because it's free, and start pinning! I couldn't tell you the last time I looked up a name in the hard copy of the Telstra/Sensis White Pages. It sits in our garage, under a box full of plant seeds. 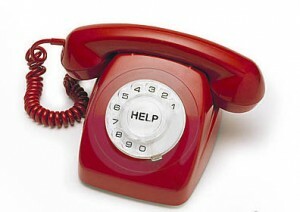 If I want to know a number I usually look it up online or ring the free Australian service 1223. Don't ring 1234, it costs you a bomb. My mother, however, is in her eighties and just can't get the hang of computers. For her, the phone book is King. With the hard copy she can see who's missing from the new edition; at her age her friends aren't as plentiful as they used to be and if she hasn't heard they've gone into a nursing home or the great beyond, the phone book is a source of intel. So she was horrified to learn that households no longer automatically receive a free copy of the White Pages on their doorstep every July. Now that most people use either the internet or one of Sensis' directory lines (remember 1223, people! ), phone books have passed their use-by date. If you want one, you have to phone Sensis and order one. So Mum did. She was cheerfully told that the directory she'd receive would be one book rather than two, and in a new, more useful compact form so it didn't take up as much space. It duly arrived and the reason for its compact size was obvious - the font used is so tiny that even I, who can read perfectly, had trouble focussing on it at first. Mum, recovering at that point from a cataract operation two days earlier, was only able to read it using a magnifying glass and a torch shining onto it. (Why a torch? Oh, those blasted low-wattage energy saver lights we all have to use these days. You can't read anything in her kitchen/living room let alone the phone book.) Now sit back and think of this. Who doesn't use their computer or a smart phone to look up whitepages.com.au? The likelihood is, seniors like my Mum. They are the prime audience for the hard copy phone book, but Sensis in its wisdom hasn't taken into account failing eyesight, cataracts and the other eye diseases older people are prone to. It has completely misread its main audience. Or has it? Could it be a more cunning plot? Did the smart marketing people at Sensis, keen to save a buck or two on printing costs, decide on the tiny print, realise oldies couldn't read it and then think, "Oh, wait! That's not a problem at all. They'll just ring 1234 Directory Assistance if they can't read the book and we can charge them a couple of dollars out of them every time they do." Call me cynical, but I bet the previous para is a pretty close précis of what went on in the Sensis marketing meeting. What do you think? Free websites – you get what you pay for. This year I've seen a couple of campaigns designed to get Aussie businesses online with free websites and free domain names or free lessons on building your own. I won't mention them by name simply because - well, it's bad for my business! I don't build sites for free (but mine ARE affordable). However with anything that's free, you get what you pay for. (Note that you can have a blog site with static pages hosted on WordPress, Typepad or Blogger, and you can access a range of templates, all for free, however you can't host these sites on your own standalone domain name, and this post discusses sites hosted on your own domain name.) Yes, you can get up and running with your own website all by yourself, but I would suggest that if you go down that route, contact someone like me for assistance with graphics, SEO, and as part of that SEO copywriting. These days anyone can put a website up. You might have the best product in the world, but unless you know a bit about how keyword analysis works, how search engines work, and how to write copy that will use the system to your advantage, you're not going to get found. SEO is a real art, and with search algorithms changing at a rapid pace in line with website evolution, you need to constantly tweak your copy and keywords. I've seen so many small business sites let down with poor grammar and punctuation over the years that I highly recommend having a copywriter help you with your website material. The worst offenders are apostrophes: often popped in where they don't need to be and left out where they do, incorrect tenses and misuse of plurals. Poor grammar and punctuation looks unprofessional. Competition is tough out there. As well as SEO-friendly copy on your site and great graphics and images, telling your own story could make the difference between people buying your product or someone else's. People remember stories; they engage with them. Simply saying "Buy my widget because it's the cheapest" won't differentiate you from the competition, even with a good price. Saying "Buy my widget - I developed my widget as a result of there being nothing on the market that quite did the job. It took me ten years of experimenting to get it right, to tailor it especially for our local market and local needs..." is far more memorable, human and compelling as a sales pitch. People can relate to you and trust you. Look and feel is also a big part of the web experience. You not only have to grab your readers' attention with copy in the first five seconds, your site has to look professional and coherent. With free websites you are often constricted as far as design goes; apart from your logo there won't be much to differentiate you graphically from another business which has taken up the free site offer. Most free sites have a very limited number of templates and unless you're a whiz with coding or know someone who is, a limited number of options you can do with those templates. Often too you may be limited as to the number of pages or menu items you can list on your free site. You might not be able to expand your site in the way you want down the track. 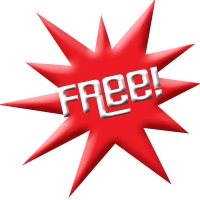 Free sites mightn't let you feed in your twitter and facebook feeds or offer a range of widgets and plugins. These are all items to think about if you're considering taking up a free site offer with your own domain name. Unless you're a marketing, copywriting or graphic expert, consider spending some money and getting professional help with your free site, or take the plunge and have a unique site developed. Domain names are cheap at the moment - from $9 a year and hosting with the fab Crazy Domains guys starts at $54/year. I can start you off with a micro-site to which you can add your own pages and menu items from $495, and it won't look like a free site built on the same template 50,000 other Australian businesses are using.